Mami To Five - Page 2 of 33 - Life: The good, the bad and the ugly bits! When O was a baby, I would occasionally get questioned about the big age gap between my children, people would presume that he was either from a second marriage, or that he was unplanned. After all, my others were all close in age and much older. As he, and especially his sisters, have grown up there have even been the odd occasion where you can just tell people are wondering who his mother is! But actually there is a good reason for such a big gap. 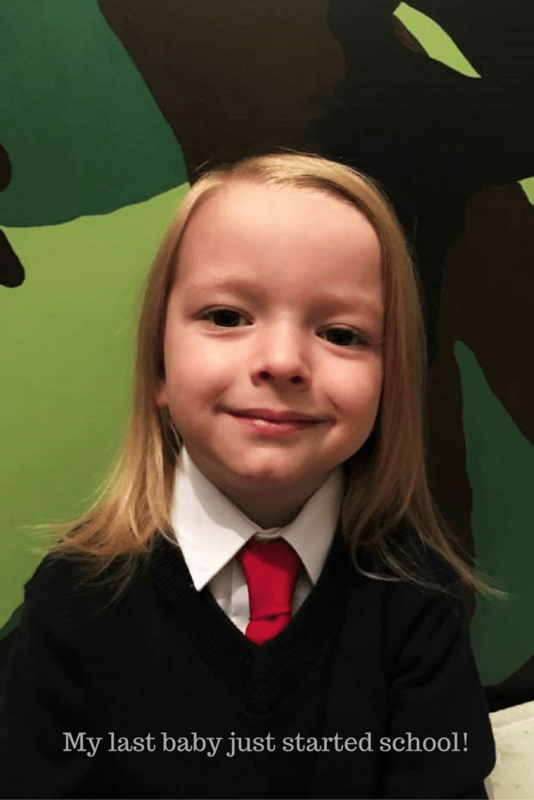 Ten years ago, had you asked me if I was going to have another baby, I would have laughed and said something along the line ‘Oh god no! No more babies for me thank you very much.’ At the time I had four small children aged from a baby up to five years old. 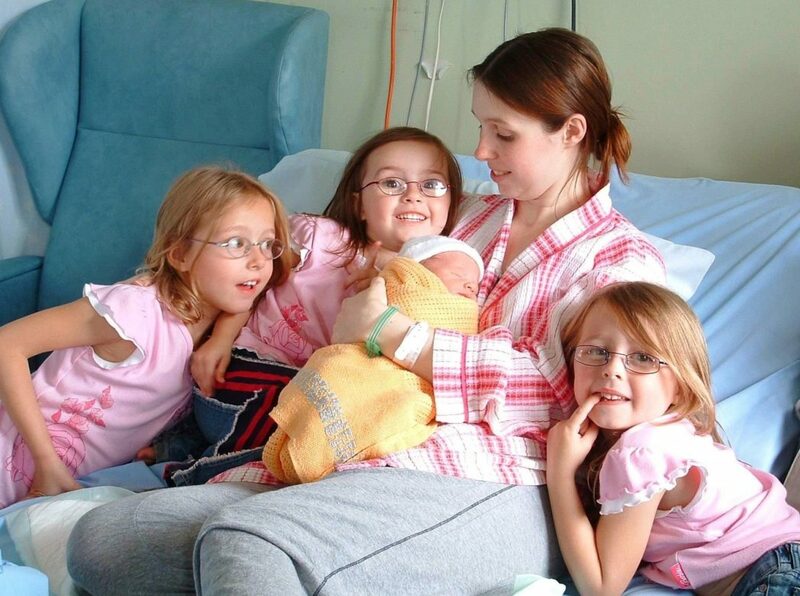 Life was sleepless, noisy and everyday was jam packed with nappies, laundry, breastfeeding, school runs and PND. 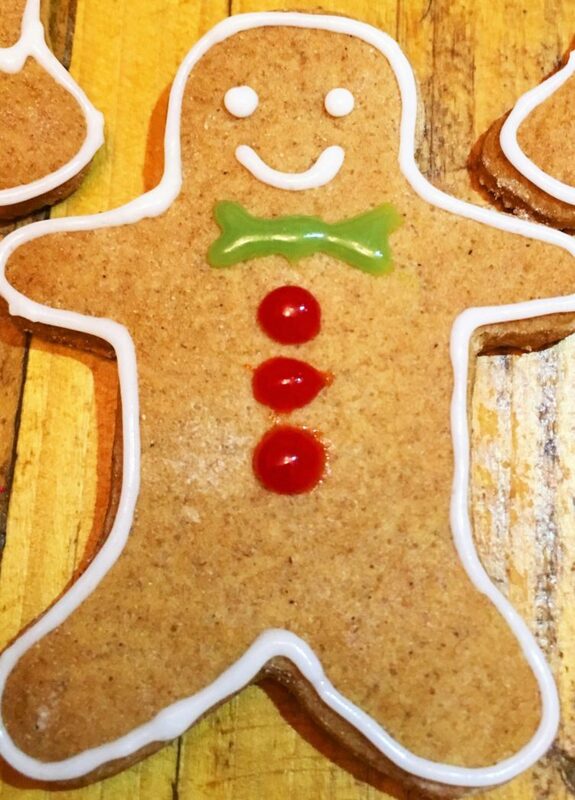 Gingerbread Men are a very popular biscuit for children any time of the year. But if you think about all things winter, Christmas in particular, gingerbread has to be right near the top of your list along with snow days, hot chocolate and candy canes. Being gluten and dairy free needn’t mean you have to miss out either. This recipe has been in the making for a couple of years now but I think I finally perfected it! 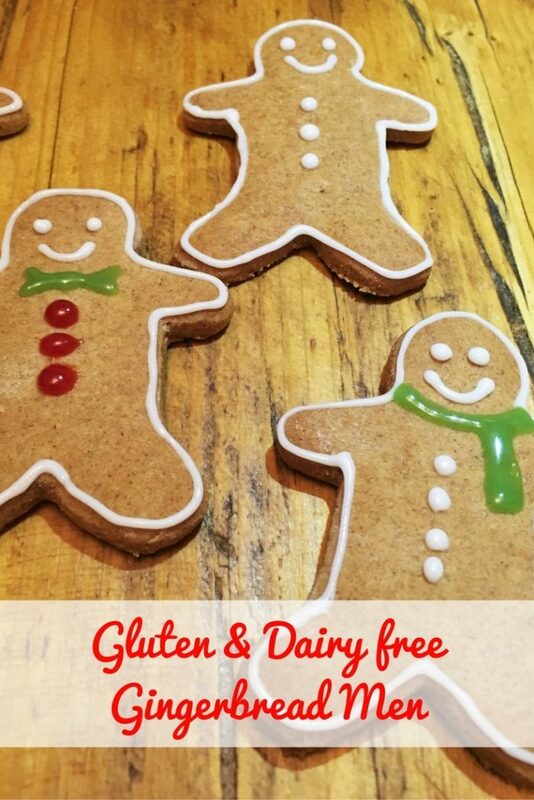 These gingerbread men are everything you want them to be, crunchy, packed with flavour and not as dry and grainy as many gluten free products tend to be. They are also firm enough to withstand small children decorating them(this has been put to the test by my three year old). They do go soft within 48 hours, but lets be honest that is actually quite good for gluten and dairy free cookies which usually need eating within 24 hours! Preheat your oven to gasmark 4/180°C/350°F. 1. Add all of the dry ingredients into a mixing bowl (flours, arrowroot, xantham gum, bicarb, spices, salt and sugars). Stir together to ensure it’s all mixed evenly. 2. Make a well in the centre of the flour mix and add the wet ingredients (syrup, fats and egg). 3. using an electric whisk beat all of the ingredients together until fully combined. Your mix should feel soft, shiny and a bit sticky. 4. Lay your pre-cut parchment down on your surface and place some of your dough in the centre. sprinkle with some flour and place another sheet of parchment or some cling film over the top. 5. Roll your dough so it fills the parchment and is about 1/4 an inch (approx 5mm) thick. 6. Dip your cutter into flour and cut your shapes into the dough about 2″ apart as you want them on your baking tray. Give your cutter a bit of a jiggle to make sure the dough is fully separated. 7. Remove all the excess dough around your cut out cookie shapes. 8. Cook for 15 – 20 minutes, or until golden brown, you may need to turn your trays around half way through cooking for an even bake. 9. When cooked remove from the oven and leave to cool on the tray for 5 minutes. 10. gently move the gingerbread men from the tray to a cooling rack with a spatula and leave to fully cool. 11. When cooled, put them back on the baking tray and bake for a further 10 minutes. Twice baking ensures a firm crisp cookie. leave to cool fully before decorating. Besan flour has quite a strong, nutty taste. Don’t panic if you taste the dough raw, it mellows when cooked and goes well with the spices. If you find your dough breaks while rolling out try pushing flat with your fingers first, patching up any tears and then using the rolling pin just to give it a smooth, flat surface. This dough freezes really well. Because the baked biscuits don’t keep as long as a gluten based biscuit you might be best freezing into smaller batches. Once it’s defrosted give a good kneading before rolling out. 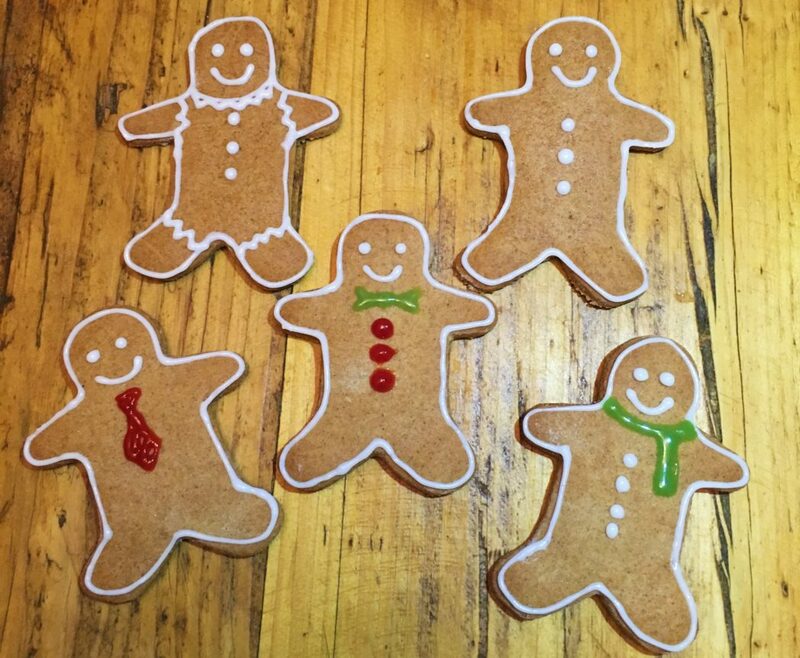 Let me know if you give these gluten and dairy free gingerbread men a go, I’d really love to hear how you get on. I’d also love to see your creations, you can send me a picture to my Facebook page, or tag me on Instagram (@mami2fiveblog) and Twitter (@mami2fiveblog). A few weeks ago I was asked if I wanted to test out Noom Coach, the updated version of the Noom Weight App that I tried out just over two years ago. I really enjoyed using it the first time round and was excited to try this newer, updated version. 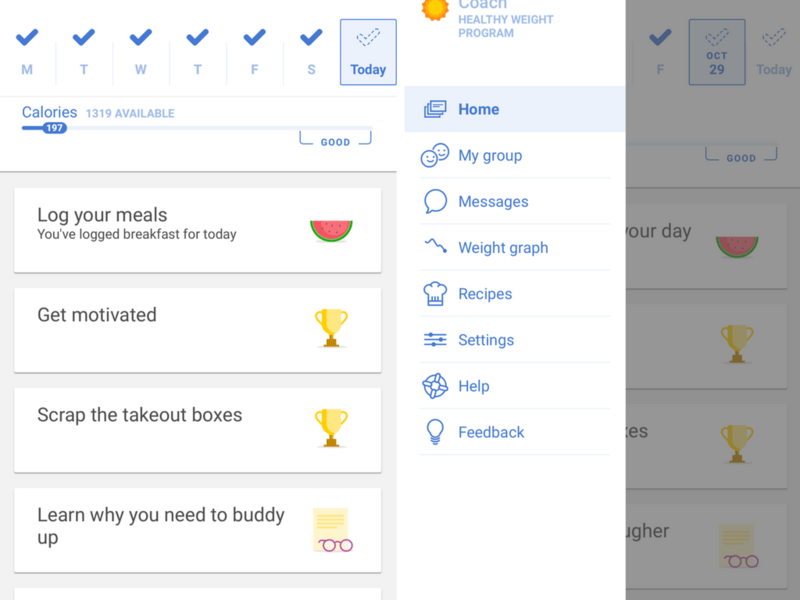 What I liked about the original app was the fact it kept me accountable for what I ate. I found I was less likely to eat something unhealthy, like two chocolate bars in one sitting, because I didn’t want to have to log it in my food diary. It also made me aware of how much I move during the day and kept me wanting to exercise just so I could log it. The new app has been given a fresh new look and is even easier to use than before! Everyday you will find articles on your home page offering helpful advice on staying motivated and ways to keep you calorie intake down, like planning ahead and managing portions. The side bar pops out with everything you need right there at your finger tips. The Noom Coach app itself is free to download on your Android or ios device and this gives you the ability to log your your meals. There are then two paid programs available, each offering specific coaching for your needs. There is the Healthy Weight Loss one I am on and the Diabetes Prevention Program. Each program is a 16 week long course and leads you from the learning stage, right through to reinforcing everything you have learnt for those healthier choices to become a natural habit. The costs for the Healthy Weight Loss Program is a monthly payment of $44.99 or an overall payment of $199 for the whole course. At first glance this does seem quite pricey to me, but as well as being able to log your meals and have access to the groups you get a real life coach who is there to help you along the way. So when you take into consideration how much personal coaches are to see in real life, just for an hour a week, this cost works out at just pennies per hour! Your personal coach really is there for you too, they even call you personally to find out more about you and learn the best way they can support you. Don’t worry if you are uncomfortable talking on the phone, this step can be done by messaging too. Your Noom coach chooses the right group for you to join. Which takes a little time but is much better than the last time I used it where I struggled to find an active group. Your coach also facilitates your group, setting activities and challenges so everyone really gets to know each other and gets a little push in the right direction to meet their weight loss needs. Having a tailored group of like minded individuals to support you along your weight loss journey is always a help and my group seems to be a nice active one. 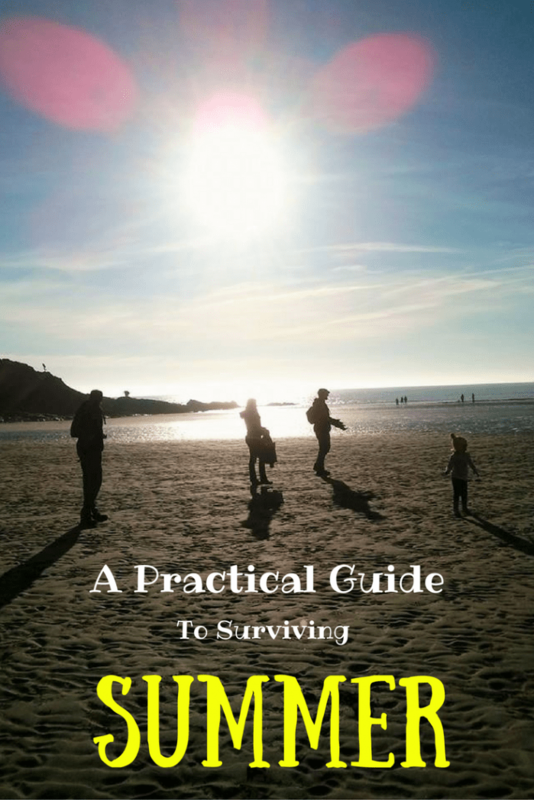 They reach out for support when they are struggling as well as being eager to offering advice, anything from ways to curb snacking to recipe suggestions. 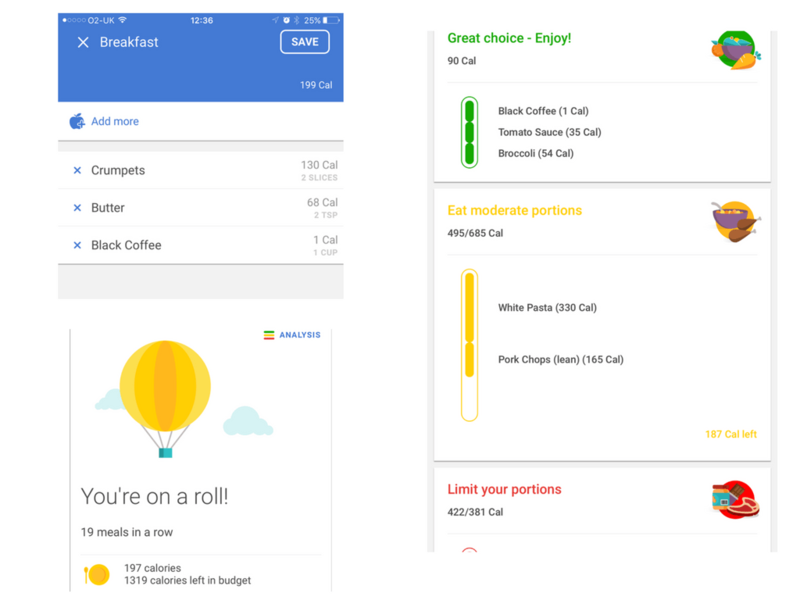 It’s really easy to log your meals, most food are pre-programmed in to the app and there is a much wider variety of meals available now so you can get an approximate calorie count. I would be wary of using the ‘serving’ size when you are choosing the amount you have eaten if you are at all unsure, because the chances are you will underestimate exactly how big a serving is. I tend to use the cups or weight options so I know I’m logging it right. All of the meal information you input into your dashboard is fed back to your coach which means they can help you pipoint issues with your diet. So, for example, if you are on the Diabetes Prevention Program and your coach notices you need to decrease your total carb, and sugar, intake they can help steer you in the right direction to making healthier choices. If you are forgetful, you can set the reminder function to remind you to log each meal. This is also helpful as a reminder to actually eat, not just log it! In conclusion, I really like the updated Noom Coach app. Its a simple and effective way of keeping track of what, how how, you eat. Before I started I thought I was a big snacker. What I actually realised was that I was skipping meals, usually breakfast and lunch, then replacing them with unhealthy options, like crisps and biscuits, just to get a quick fix because I was starving! I think I will continue to use the free version of the app, with just the ability to log my meals, so I can see exactly where I am going wrong with my daily food choices! Have you used a weightloss app like Noom? How did you find it helped you? Dear France. The Burkini Ban. Really? Over the last week or so I have been getting this horrible feeling right in the pit of my stomach. A feeling that lies somewhere between disgust and bewilderment, with a healthy dose of anger thrown in for good measure. The reasoning behind this feeling? 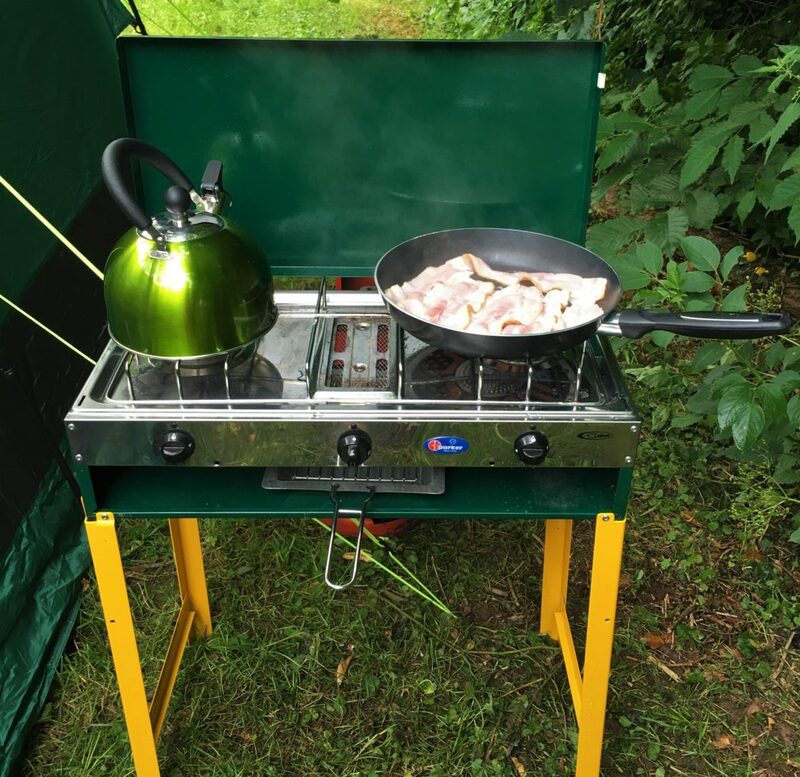 Last week we took a little camping trip. We’d bought tickets to go to the last day of The Royal Welsh Show in Builth Wells on the Thursday so we set off straight after Lee came home form work on Wednesday to save us driving the hour and a half up in the morning. This meant we got to have a relatively calm breakfast before we set off on the half hour journey from Hay on Wye. At Christmas I took a little break from the blog… In the middle of January I told you about how I was struggling to get back into blogging. Six months later and I’m still struggling. It’s not that I have lost my mojo, I have ideas popping into my head all the time (the 106 posts in my drafts folder prove that) but I’m struggling to get it all out of my head and onto the screen in a legible format. 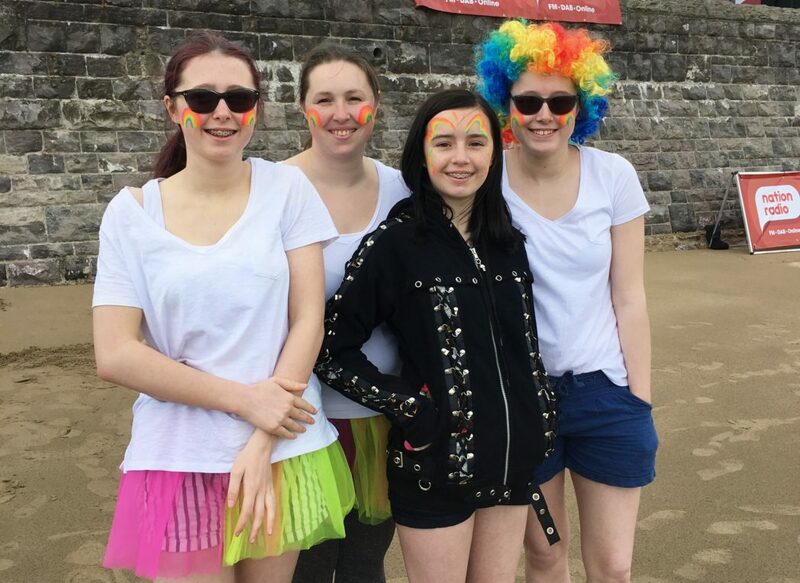 A few weeks ago I mentioned that the twins and I would be taking part in Tŷ Hafan’s Rainbow Run in Barry Island. It was a fantastic day that started with us donning our white t-shirts and heading to Barry Island nice and early to beat all the traffic. We arrived just at the perfect time before the car park filled up, literally, it was pretty much empty when we arrived and was almost full before I had even finished paying for our parking ticket! We registered and then headed to get our faces painted and buy our tutus, wig and paint for the paint party. Can you tell which one of the girls wasn’t taking part?